Welcome to the Spring Term, Badgers! 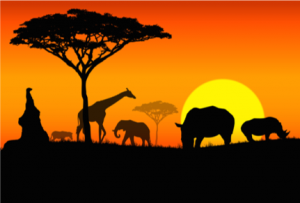 As a school, we are so excited to introduce to you our topic of Amazing Africa! It is such a wonderful and diverse continent, that we are spoilt for choice with learning opportunities. How do African communities, from across the continent, compare to ours? 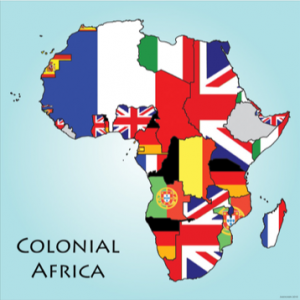 How has colonisation influenced Africa and the world today? Is Africa a rich or a poor continent? 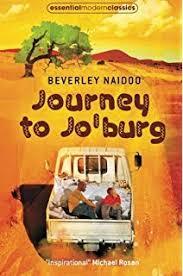 A lot of our learning in English will be based around two texts – 'The Kidnapped Prince' and 'Journey to Jo’berg'. We will also be looking at letter writing styles, and writing to children in Africa to see how they learn. As our focus in school is broadening our vocabulary, we will be collecting a wide range of words that we can apply to our writing from these texts. As a school, we will be using maths in context and will be planning a zoo! This is such an exciting topic, as we will be able to incorporate learning about shape, space, measures and of course, recapping our four operations into this project. We are working on reasoning, and mastering our Mathematical concepts. 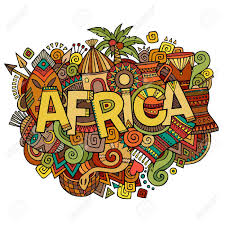 Whilst learning mathematical skills, the children will also be learning animal facts, and facts about Africa We will also be studying the geography of the continent, looking at rivers and climate, tying in links with measures through this as well – whoever thought that maths and topic could fit together so well! We will be looking at properties and changes of materials. 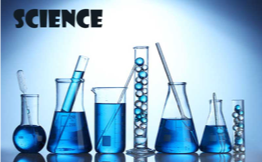 We will be looking at this within the context of Africa, identifying the best possible materials for different purposes, how mixtures can be separated, and whether reactions are reversible or not. In Badger Class, we will learn about the geography of Africa, and how it varies across this large continent. 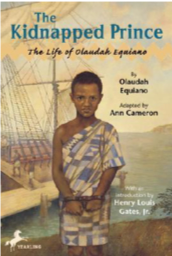 We will focus on the human geography and how Africa has been influenced by colonisation. will gain over the term, we will discuss whether Africa is rich or poor, creating our own definitions of what is meant by being ”rich” or “poor”. We are very excited to have the opportunity to swim in Badger class for the first term, and the children will also take part in PE on Wednesday afternoons. In addition to these lessons, the children will take part in Daily Physical Activity. Whilst exercising the body is important, we also believe in the importance of reading to exercise the mind. It is extremely valuable to read as often as possible to an adult, so that vocabulary that children are unsure about can be clarified. Last term, we had two winners in our Reading Raffle – I wonder who it will be this term! Welcome back to the Badger class (Year 5 and 6)! We hope that you had a lovely summer break! Our topic this term is The Vikings, which is such an exciting topic! We will be looking at all aspects of their way of life, why they came to Britain and assessing the reliability of sources of evidence. During this topic, we will be using our geographical skills to locate where the Vikings came from and where they settled. We will also consider the laws that the Vikings lived by, and compare these to the rules that we live by today, and our democracy. story that overcomes a monster. The children will have the opportunity to hot seat different characters, discussing their feelings and reasons behind their actions. The children will have the opportunity to describe their own monster in detail, using a wide range of descriptive techniques. To conclude this unit, the children will write their own story involving a monster, and how they overcome it. We will then move onto a unit about storytelling, and how the Vikings used stories to describe past events. The children will think about their descriptions, and focus on rewriting their own version of a Viking saga. After half term, we will move on to a non-fiction unit studying the features of information texts. As the Vikings were great believers in dragons, we will be basing our unit around an exciting text called Dragonology! Your child will receive weekly spellings to learn, based on the rule that they have been learning in class. If they can add to this list, using the rule then that would be fantastic! We will look at how the children can check their own spellings, using a range of strategies. They will also receive a grammar sheet to complete at home, again supporting the learning that we have done in class that week. Reading is essential in the Badgers’ class, and the expectation is that the children will all read five times per week. As many of the children are independent readers already, they may have their reading record signed if they have read in their head. However, we do request that you hear your child read aloud at least once per week, and discuss the text that they are reading, to ensure that it is of a suitable level and challenge! We will also be listening to the class read during Guided Reading sessions, and individual readers throughout the week. however there are many levels of challenge that they can be presented with. for home-learning that supports the learning that we have been doing in class. You may find it helpful to ask your child to explain the sheet to you, in doing this, they are helping to secure their understanding of that particular task! We will be studying Forces this term. Which forces are acting on Viking boats to keep them afloat? What happens when the forces acting on the Viking boats are not balanced? How do we measure forces? There are so many areas that we will be learning about! We will be looking at sacred books and places in the major world religions. We will be thinking about why the sacred places are special, and the messages that the books contain. Our British Values will underpin our curriculum, and the children will be reminded during specific lessons about these values, and they will be embedded throughout the curriculum. Our PSHE unit this term will think about relationships, and what makes a healthy relationship. We will learn how important it is to listen and communicate clearly with others, building respect amongst our peers. There are so many other exciting activities that we will cover as the topic progresses, and in some cases, will be created as a result of the children’s ideas. I, for one, am very excited about the term ahead, and cannot wait to get started! Please do not hesitate to contact me, should you have any questions or concerns. I am happy to speak with you face to face at the end of the day, or via the phone if that is more convenient!